Every now and then, we could do with a bit of a makeover. You know the kind of thing I mean - hitting the shops to buy a new jacket, getting a new haircut, and buying some slick new shoes. It’s great for our self-confidence, but it also helps us keep up to date with all the current trends. And this is the case with our online personas as well, specifically our blogs. Imagine if you had kept the same blog design that you had when you first launched it? It would certainly look very out of date by now! So, every few months, it’s time to go over your blog and make sure that it’s all up to date and is looking as good as it can. It’s what I like to call the good ol’ spit and polish! Here are some things to add to your blog checklist. When was the last time you changed the design of your blog? As I’ve mentioned above, if you haven’t done so for a while, it might look decidedly outdated right now. And this could be putting off new readers - after all, no one wants to spend time on a blog that looks like it’s straight out of 2007! So, if you are using a hosting platform like Squarespace or WordPress, it’s a good idea to take a look at some of the other templates on offer. Don’t worry; changing the template shouldn’t lose any content, but it’s always a good idea to backup just in case! How is your language on the blog? If all of your blog posts are filled with spelling mistakes and other typos, your readers will be instantly turned off. It really is worth going through your most recent posts and making sure that all your writing is up to scratch. Got a few grammar questions that are bugging you? You can also check out this blog to see if it holds all the answers. It’s also worth getting a friend to proofread your posts before you publish them as they will probably find it easier to pick out your mistakes. As well as regularly updating your website’s design, it’s a good idea to review photos on a semi-regular basis too. If you are using someone else’s photos and images, it’s important that you go back to check the license for them. Sometimes these can change and an image that was creative commons might not be any longer. If this is the case with a photo on your blog, you need to change it. Is your blog mobile responsive? If not, it needs to be so that it can improve its SEO. Mobile responsive just means that it can be viewed on a smartphone or a tablet device easily. If you use WordPress or Squarespace, they will have guides that can help you create a mobile-responsive design for your blog. 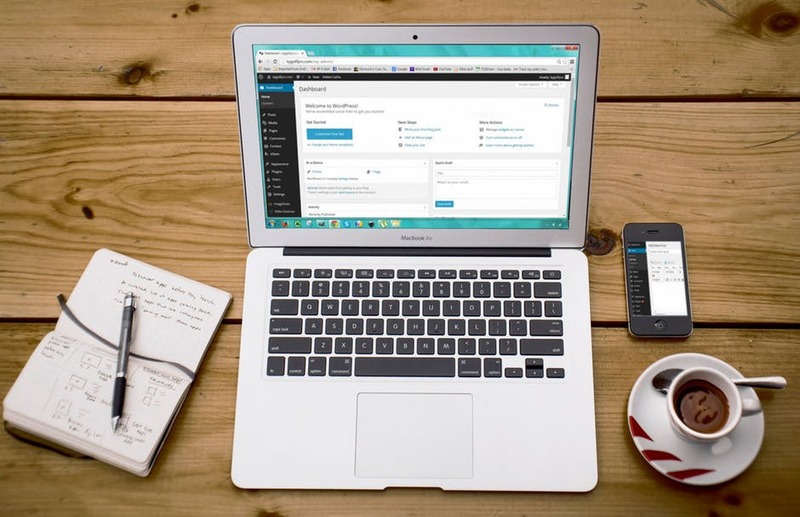 Once you’ve given it the ol’ spit and polish, your blog will look great!